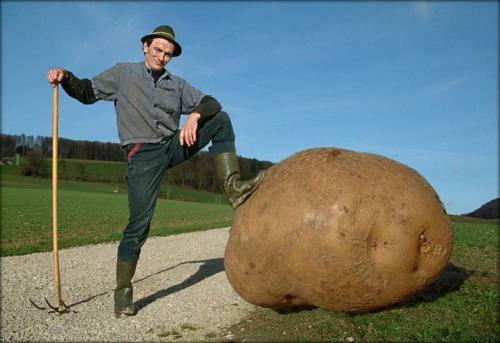 I refuse to believe that if a potato grew to be that size, it would resemble a normal sized one. The potato “eyes” alone give it away. Shopped. Guy looks a bit like Quintin Tarentino. It’s good to see Ireland got they’re potatoes back. I would love if this guy’s name was Charlie. Skunk Anansie FTW!